Hotel restorant absolutly poor :(. 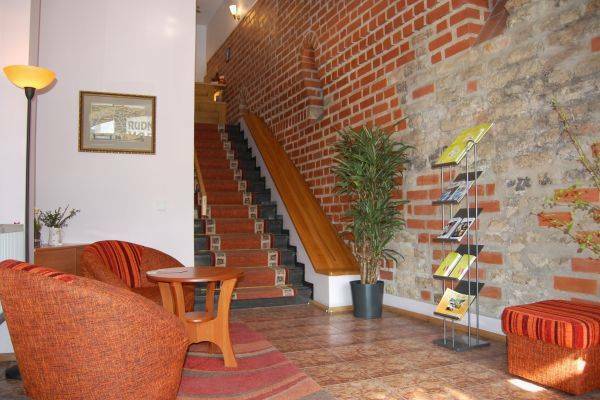 Situated in the old town of Vilnius, the Rūdninkų Vartai Hotel is a treasure built into the original old city wall. The city‘s most attractive locations, whether business or leisure, are at your doorsteps and the hotel surroundings are filled with history. 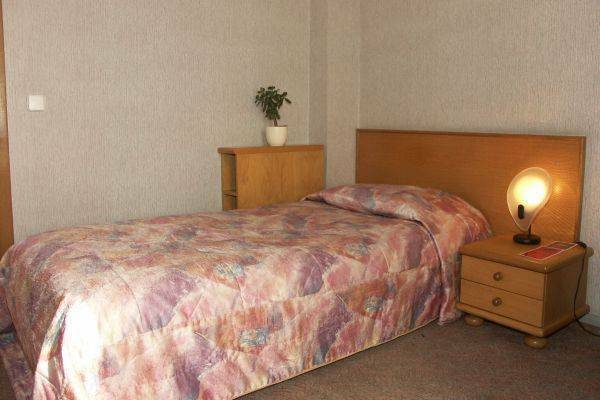 The hotel offers a warm welcome to international guests travelling either for leisure or for business purposes. Night or day, our friendly, multilingual reception team is on hand to provide you with all the information you require to make your stay in Vilnius unique. In a very of the Old town. The heart of the town. - If cancelled up to 1 day before the date of arrival, no fee will be charged. - All children under 12 years stay free of charge when using existing bedding. - All children under 2 years stay free of charge for cots. 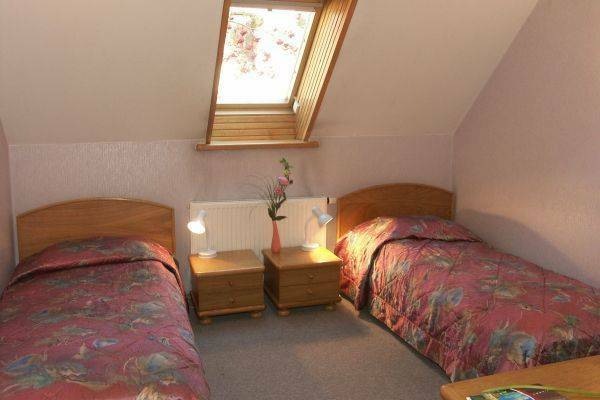 - All older children or adults are charged EUR 20.00 per night and person for extra beds. - Service charge is included. - City/tourist tax is included. 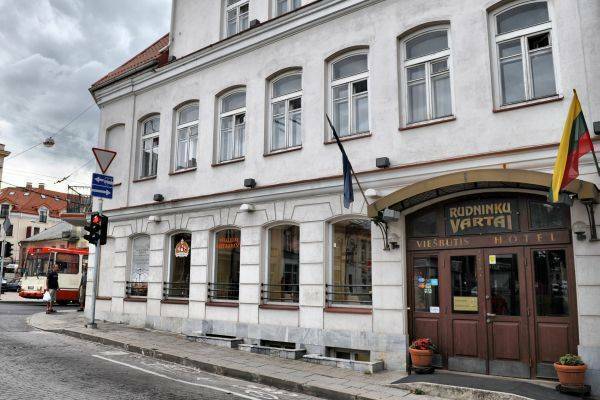 Rudninku Vartai Hotel is located in the heart of Vilnius Old town. 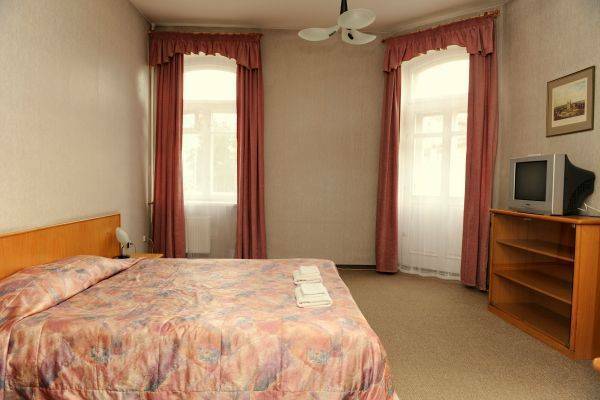 Rudninku vartai is only 0, 4 km from rail/bus station and 5 km from Vilnus airport. Nearest airport: 5 km from Vilnus airport.